Webmail can be used as an easy way to receive and send messages without an email client. 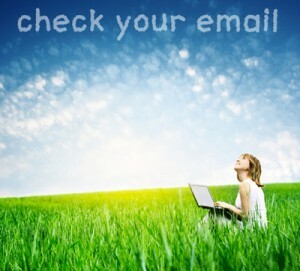 Webmail allows you to view the messages on the server without downloading email to your . There is a storage limit of 250 MB on the server for each mailbox. It is suggested that all customers use a mail client to download messages frequently, as there is no set limit on how much mail can stored in a email client. Downloading email can help to ensure that the storage quota is not met or exceeded on the server. Deleting messages from the server is another way to make sure the storage quota is not met. An over-quota message will be generated and returned to the sender if your mailbox that has reached or exceeded the storage limit. Messages will not be delivered to your mailbox until email is either downloaded or deleted from the server. You also have the option to create folders and store messages on the server through Webmail for your mailbox. Messages contained in created folders, trash folders, and sent folders are a part of the storage quota. For more information on Webmail, please visit the Webmail FAQ .